Countries of Western and Central Asia such as Iran, Pakistan, Turkmenistan, Afghanistan, Turkey, Azerbaijan and Tajikistan share cultural and historical commonalities. These commonalities are reflected in the documentary heritage of the region such as the Medieval manuscripts on medicine and pharmacy kept by the Institute of Manuscript of the Azerbaijan National Academy of Sciences or the Old Assyrian Merchant Archives of Kültepe from Turkey, already inscribed into the UNESCO’s Memory of the World (MoW) Register. The shared history and the shared documentary heritage enable also joint nominations to MoW. 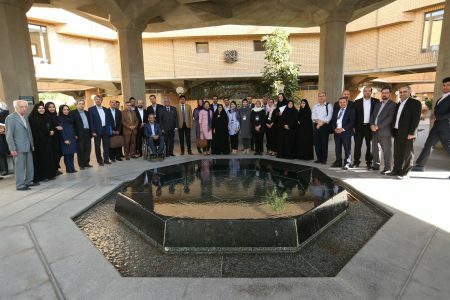 In a view to strengthen regional cooperation amongst these countries for the preservation of and access to documentary heritage and within the framework of UNESCO’s 2015 Recommendation, a workshop was organized by the UNESCO Office in Tehran, the Iranian National Commission for UNESCO and the National Library and Archives of Iran on 28 and 29 August 2017. Opened by Dr Ashraf Boroujerdi, Head of the National Library and Archives of Iran and Chairperson of the Iranian MoW Committee, the workshop was attended by the MoW representatives from seven countries of the sub-region as well as members of the Iranian MoW Committee, including the Library of the Islamic Parliament of Iran, the Centre for Promoting Documentary Heritage, the Iranian Cultural Heritage, the Handcrafts and Tourism Organization and the Islamic Republic of Iran Broadcasting. Facilitated by Ms Misako Ito, Adviser for Communication and Information at UNESCO Bangkok, and Dr Roslyn Russell, Chairperson of the Australian Memory of the World Committee, the workshop explored opportunities for regional collaboration for Memory of the World, including the mechanisms for joint nominations. The UNESCO MoW programme was created in 1992 to protect and promote world’s documentary heritage. The workshop in Tehran resulted in the adoption of a Regional Cooperation Plan for the Implementation of the UNESCO Recommendation on Documentary Heritage in Western and Central Asia. The symposium is the first global event of its kind. 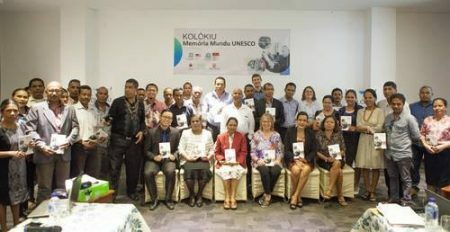 It starts on 8 May with the aim of developing an action plan, for Southeast Asian countries, for the implementation of the landmark UNESCO Recommendation on documentary heritage. All sessions of the symposium will be streamed live on UNESCO Bangkok’s Facebook page (www.Facebook/UNESCOBKK). Detailed information about the symposium, including the agenda is available here. The 7th MOWCAP General Meeting will be held in Hue, Vietnam from 18-21 May 2016. The MOWCAP Bureau will meet on 17 May 2016. More details are available in the draft programme. Invitations to attend the 7th MOWCAP General Meeting in Hue, Vietnam have now been sent to Memory of the World Committees and UNESCO National Commissions in the MOWCAP region. Registrations to attend the meeting should be received by 17 March 2016. The State Records and Archives Department of Viet Nam organized the International Workshop-Seminar Sharing Experience on Participating in UNESCO’s Memory of the World Program. The International Workshop-Seminar brought together nearly one hundred participants from the archives, libraries, museums and institutions of Viet Nam, including the custodians of documentary heritage inscribed on MOW registers.